Let's go back to biology class, where we learn about the physiology, behavior and other qualities of particular organisms. Do you know that our lungs help us breathe? Yes, they do; but they are doing much more to us than helping us breathe. 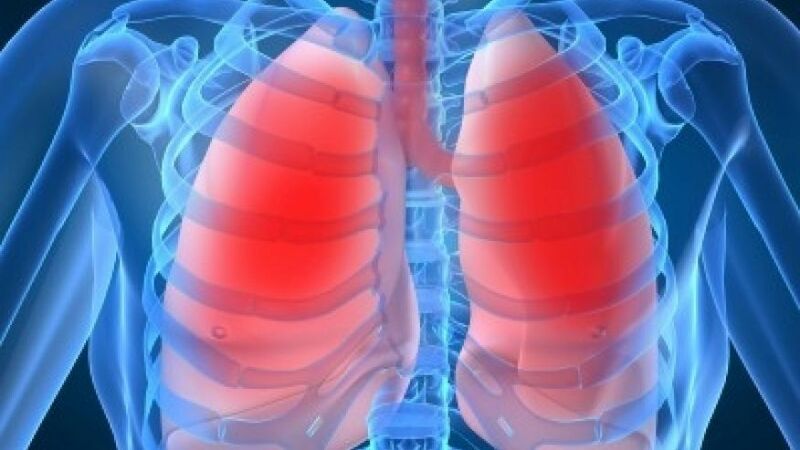 In a series of experiments, the researchers of the University of California, San Francisco (UCSF) have found that in addition to being a crucial part of our respiratory system, lungs also play a vital role in producing and storing of blood cells. While bone marrow, found in flat bones such as the hip bone also help in producing the red and white blood cells through a process called hematopoiesis. However, a function that had hitherto has been credited solely to the bone marrow. The findings, described by the researchers in a publication, states that they could have major implications for the patients suffering from some blood disorders like thrombocytopenia - which is caused due to a low platelet count. Like many other medical breakthroughs, the researchers stumbled upon the findings by accident, however, these findings suggest a more sophisticated view of the lungs. While the team, led by a renowned professor of medicine and laboratory medicine at UCSF, Mark R. Looney tried to observe how platelets cells that form clots to stop bleeding circulate in the lungs to interact with the immune system in mice. To trace these cells’ path, the rodents had been genetically modified so that the platelets appear a glowing green. To the scientists' surprise, the lungs were filled with megakaryocytes — as they are responsible for producing platelets. Though the experts are aware of the existence of these cells in the lungs, they had believed the numbers to be small. For the purpose of their further investigation, the researchers used an imaging technique called two-photon intravital imaging, which helped them to see how individual cells within the tiny blood vessels of a living mouse lung were behaving. However, the mouse strain being studied was very keenly examined so that the platelets – blood cells that play a critical role in clotting emitted bright green fluorescence. 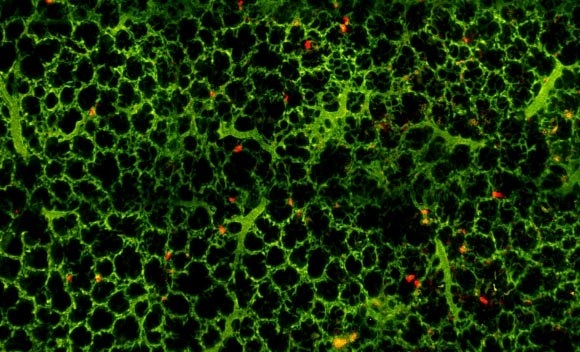 The investigation revealed many surprising things; not only like that the mice lungs contain enough platelets producing cells called megakaryocytes to produce over half of the animal’s total platelets, but the blood stem cells in the lung vasculature contribute the production of a wide variety of other blood cells like neutrophils, B cells, and T cells. More to it, the further experiments showed that the megakaryocytes in the lung had originated in the bone marrow. However the lungs and the bone marrow work together to produce blood, and that scientists are looking for to treat platelet diseases with cells produced from engineered megakaryocytes should look to the lungs as a supply for platelet production. To analyze such practical applications of this discovery and see if it would be really useful in the treatment of disorders like lung inflammation, the team injected the fluorescent megakaryocytes progenitor cells into mice with low platelet counts. The results shocked the team as the transplanted cells got to work right away, restoring the platelet count to normal levels within a short time; what was even shocking. What was even more encouraging to the team was, that the effect lasted for several months. While scientists still need to test if human lungs are as effective and the findings are being hailed as a major breakthrough.